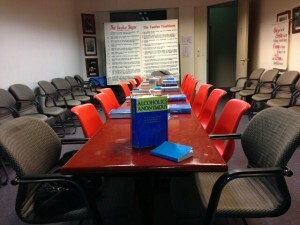 Alcoholics Anonymous Moonee Ponds Big Book Group meets at the Essendon Community Baptist Church Meeting Room rear 138 Buckley St Essendon at 7.30 – 8.30 pm every Tuesday evening. 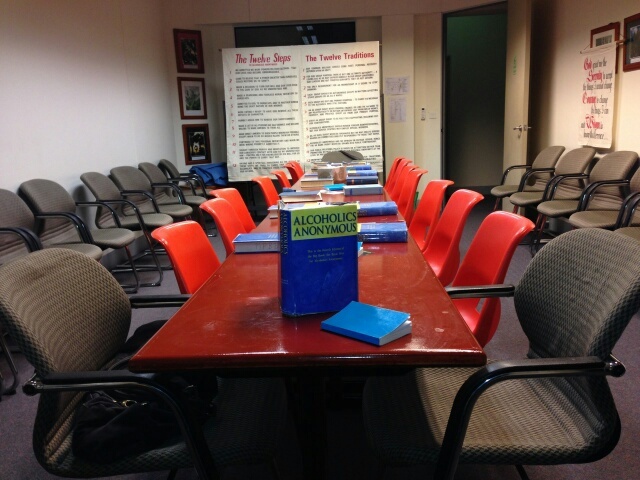 Each week we read and discuss a chapter from the book “Alcoholics Anonymous” the official text of the program. We welcome existing members and also offer a cordial welcome to anybody who would like to know more about this life saving program. All attending are invited to share their experience, strength and hope as a member of Alcoholics Anonymous from their personal lives and on the text relating to the reading of the meeting. Newcomers are given a special welcome and are invited to talk to a member after the meeting in order to clarify any issues or questions that they have about the fellowship and attending on going meetings of Alcoholics Anonymous. We provide free literature and the offer to assist with the attendance of further meetings by both male and female members. Group members are available on request to carry the message of recovery from active alcoholism to interested groups in the community including schools, government agencies e.g. police, health and welfare agencies and community agencies. The 12 th Step of the Alcoholics Anonymous program reads: ” …having had a spiritual awakening as the result of these steps, we tried to carry this message to alcoholics and to practice these principles in all our affairs…”[Alcoholics Anonymous page 60] Consequently as members we have a responsibility to do what we can to offer the solution to alcoholism to other suffering alcoholics in the community who may be unaware that there is a solution to their dilemma.